Akhil Mittal is two times Microsoft MVP(Most Valuable Professional), C# Corner MVP, Codeproject MVP, a blogger, author and likes to write/read technical articles. Akhil has an experience of around 11 years in developing, designing, architecting enterprises level applications primarily in Microsoft Technologies. Akhil enjoys working on technologies like MVC, Web API, Entity Framework, Angular, C#, and BlockChain. 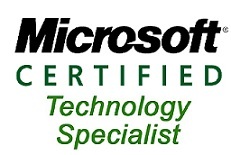 Akhil is an MCP( Microsoft Certified Professional) in Web Applications (MCTS-70-528, MCTS-70-515) and .Net Framework 2.0 (MCTS-70-536). Visit Akhil Mittal’s personal blog CodeTeddy (https://codeteddy.com) for some good and informative articles.